As we enter the holiday season, movie production companies are rushing to make a profit from the Christmas spirit of the consumer, turning classic Christmas stories into something new and exciting. At the top of every little kid’s movie list this year is Illumination’s new cartoon adaption of Dr. Seuss’ the Grinch. The original adaption of the story, “How the Grinch Stole Christmas,” was made in 1966, followed by other Grinch made-for-TV movies. There are many skeptics of the film release, as the Grinch is a beloved Christmas character: the original film has become a yearly tradition in homes everywhere. And the phrase “Don’t be a Grinch” became commonly used to describe mean and nasty people who did not have the Christmas spirit, as the Grinch was depicted in the classic film. However, as Illumination moved the story into the modern day, it seems they may have forgotten about the nasty and cruel nature of the Grinch that so many children were originally supposed to fear. While the new movie follows the same basic storyline of the original, there are many noticeable differences in the two films. Some may even say that the movie showcases how our society today has become much more sheltered than it was in the 60s. The first example is the new relationship between the Grinch and his dog Max. As opposed to the original story, where the Grinch is outright abusive to his dog (tying a heavy antler to his head and making him pull a huge sleigh on his own, cracking the whip as they go), the new version is very different. In this version, Max is made to be the Grinch’s beloved pet and sidekick, conferring on plans, sleeping in the Grinch’s bed, still making breakfast for the Grinch, but with the help of fancy gadgets the Grinch created to make it easier for him. In fact, the whole kitchen was outfitted with modern tech such as a coffee pot, oven, and toaster. Max also ends up pulling the sleigh as in the original, but only as a last resort after their original reindeer was happily reunited with his little family on Christmas Eve, and they had to let him go in order to do “the right thing”. 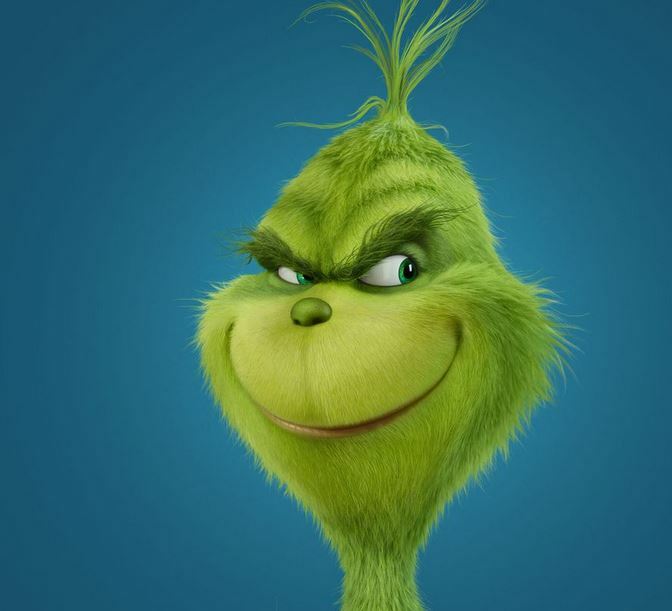 Another example of a softer image is the back story the company decided to create for the Grinch in the new adaption. Instead of the Grinch being malicious, mean, and scary for no reason, a flashback is created for the Grinch in which he remembers all the Christmases before where he was left alone in an orphanage without any presents, family, or singing– which is what drives him to steal Christmas. Some might conclude that this changes the whole new dynamic to the Grinch, in which children are now going to feel sympathy as opposed to plain fear, while also adding to a more-clear underlying message of wanting and giving love and acceptance to everyone. Overall, the new animated film for Dr. Seuss’ the Grinch may be a little more lighthearted and that may tell us something about our society; however the original moral of the story is still just as clearly conveyed: that Christmas spirit is not in the decorations and presents, but in love and family togetherness. My advice is to not be deterred by the high-tech additions and newfangled rap version of the original beloved theme song; think of it as just a simple modern take on an old classic. Get some family together to introduce them to an old tradition made for a new generation, keeping the happy and lighthearted message of the Grinch alive.